Here are information provided by Mitchell, aimed to help you guys to reset TPMS on Chevrolet Traverse and GMC Acadia 2007 – 2013. Done with TPMS reset tools such as EL-50448. Figure 1: An exploded view of a clamp-in style tire pressure sensor. All art courtesy of General Motors Corp.
RELEARN PROCEDURE? Yes.VEHICLES: Chevrolet Traverse and GMC Acadia, model years 2007 – 2013. SPECIAL TOOLS NEEDED? 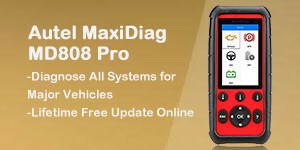 TPMS tools EL-46079 or EL-50448 can be used. The tire pressure monitor system (TPMS) of the Chevrolet Traverse and GMC Acadia, model years 2007 – 2013, alerts the driver when a large change in the pressure of one tire exists while the vehicle is being driven. When do you reset tire pressure? Look at tire pressure monitor warning indicators! How to use reset tire pressure? NOTE: If a tire pressure sensor or the RCDLR is replaced, or if the wheels have been rotated, the tire pressure sensor must be retrained. When the tire pressure warning light illuminates and a warning message appears, immediately check air pressure of all tires and adjust to the specified pressure. Drive the vehicle above 25 mph (40 km/h) for a few minutes and ensure the warning indicators go out. by the user’s manual starting on page 10-46. 5. Place the relearn tool against the tire sidewall, near the valve stem. Then press the button of your very handy dandy VXDAS EL-50448 (after you install a 9-volt battery of course) to activate the TPMS sensor. A horn beep confirms the sensor ID code has been matched to the tire and wheel position. 11. Enjoy your liberation from the GM stealership! How to relearn tire pressure sensor? NOTE: Once the learn mode has been enabled, each of the sensor’s unique identification (ID) codes can be learned into the RCDLR’s memory. When a sensor’s ID has been learned, the RCDLR sends a serial data message to the BCM to sound a horn chirp. This verifies the sensor has transmitted its ID and the RCDLR has received and learned it. The RCDLR must learn the sensor IDs in the proper order to determine the correct sensor location. The first learned ID is assigned to left front, the second to right front, third to right rear and fourth to left rear. NOTE: Each turn signal will illuminate one at a time indicating which location is to be learned next. NOTE: Each sensor takes a pressure measurement sample once every 30 seconds while in stationary mode. If the tire pressure increases or decreases by more than 1.2 psi (8.3 kPa) from the last pressure measurement, another measurement will occur immediately to verify the change in pressure. If a pressure change has indeed occurred, the sensor transmits a learn mode. When the RCDLR receives a learn mode transmission while in sensor learn mode, it will assign that sensor’s ID to the location on the vehicle relative to the order in which it was learned. NOTE: The TPMS will cancel the learn mode if more than two minutes have passed and no sensors have been learned, or if the ignition switch is turned to the OFF position. If the learn mode is canceled before the first ID is learned, the RCDLR will remember all previously stored IDs and their locations. As soon as the first sensor ID is learned, all other IDs are erased from the RCDLR’s memory. If the learn mode is canceled after the first ID is learned, the RCDLR will store the IDs as invalid and the DIC will display dashes instead of tire pressures. NOTE: In the following procedures, a TPMS special tool (EL-46079 or EL-50448) may be used in place of increasing/decreasing pressures to enable the sensor. To use, place the activator antenna against the tire sidewall close to the wheel rim at the valve stem location, then press and release the ACTIVATE button. NOTE: If TPMS special tool EL-46079 or EL-50448 is used, and the vehicle is having trouble entering relearn mode, check the batteries in the activation tool. 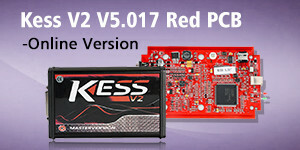 Low batteries may allow some functions to work, but not allow the vehicle to perform the learn function. When the internal battery is fresh (fully charged), the indicator is “full” or all dark. When the battery is depleted, the indicator shows “empty” or all light. NOTE: Before proceeding with any of the steps below, ensure that no other sensor learn procedure is being performed simultaneously and that no tire pressures are being adjusted on another TPMS-equipped vehicle within close proximity. How to use the keyless entry system? 1) Turn the ignition switch to the ACCY position. Apply the parking brake. NOTE: The left front turn signal will also illuminate to indicate the learn mode has been enabled. 2) Simultaneously press the keyless entry transmitter’s lock and unlock buttons until a double horn chirp sounds, indicating the learn mode has been enabled. Increase/decrease method: Starting with the left front tire, increase or decrease the pressure for eight to 10 seconds, and then wait for a horn chirp sound. The horn chirp may occur before the eight to 10 second pressure increase/decrease time period has been reached, or up to 30 seconds after the eight to 10 second pressure increase/decrease time period has been reached. Sensor activation tool method: Starting with the left front tire, hold the scan tool against the tire wall aiming upward with the antenna. Press the activate button and wait for a horn chirp. After the horn has chirped, the turn signal will illuminate indicating the next location to be learned. 4) After the horn chirp has sounded and the right turn signal has illuminated, repeat the procedure for the next three sensors in the following order: right front, right rear, left rear. 5) After the left rear sensor has been learned, a double horn chirp will sound, indicating all four sensor IDs have been learned. Turn the ignition switch to the OFF position. Adjust all tire pressures to specification. How to use a scan tool for TPMS reset? 1) Connect the scan tool (EL-46079 or EL-50448). Turn the ignition switch to the RUN position. Apply the parking brake. 3) Select “SENSOR LEARN MODE ENABLE,” and press the ENTER key. NOTE: The left front turn signal also will illuminate to indicate the learn mode has been enabled. 4) Press the ON soft key. A double horn chirp will sound, indicating the learn mode has been enabled. Increase/decrease method: Starting with left front tire, increase or decrease the pressure for eight to 10 seconds, then wait for a horn chirp sounds. The horn chirp may occur before the eight to 10 second pressure increase/decrease time period has been reached, or up to 30 seconds after the eight to 10 second pressure increase/decrease time period has been reached. 6) After the horn chirp has sounded, repeat the procedure for the next three sensors in the following order: right front, right rear, left rear. 7) After the left rear sensor has been learned, a double horn chirp will sound, indicating all four sensor IDs have been learned. Turn the ignition switch to the OFF position. Adjust all tire pressures to specification. How to use the DIC? 1) Turn ignition switch to RUN position. Apply parking brake. 2) Press the “INFO” button on the DIC, until the “RELEARN TIRE POSITIONS” message display on the DIC. Then press the “SET/RESET” button on the DIC, until a double horn chirp will sound, and the DIC displays “TIRE LEARNING ACTIVE”. This will indicate the learn mode has been enabled. Increase/decrease method: Starting with left front tire, increase or decrease the pressure for eight to 10 seconds, and then wait for a horn chirp sound. The horn chirp may occur before the eight to 10 second pressure increase/decrease time period has been reached, or up to 30 seconds after the eight to 10 second pressure increase/decrease time period has been reached. 4) After a horn chirp has sounded and the right turn signal has illuminated, repeat the procedure for the next three sensors in the following order: right front, right rear, left rear. How to demount/mount from the wheel? CAUTION: The tire should be demounted from the wheel using the tire changer manufacturer’s instructions. Use the following information to avoid damage during the demounting/mounting procedures. NOTE: If vehicle’s tires are replaced with those not having a TPC spec number, the TPMS may give an inaccurate low pressure warning. Non-TPC spec tires may give a low pressure warning that is higher or lower than the proper warning level achieved by TPC spec numbered tires. NOTE: If a tire pressure sensor or the RCDLR is replaced, or if the wheels have been rotated, the tire pressure sensor must be retrained. See reset procedures. 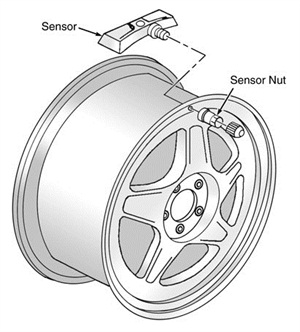 Figure 2: An exploded view of a snap-in style tire pressure sensor. If any tire sealant is noted upon tire demounting, replace the sensor. Also remove all residual liquid sealant from inside the tire and wheel surfaces.CAUTION: Do not inject any tire liquid or aerosol tire sealant into tires, as this may cause a malfunction of the tire pressure sensors. There are currently two different kinds of TPMS sensors in use on the vehicles covered in this article. Identification of which sensor is in use can easily be made after the tire has been removed from the wheel by referring to Figures 1 and 2. How to remove and install tire pressure sensor? 1) Raise the vehicle on a suitable support. Remove the tire/wheel assembly from the vehicle. Place the sensor’s cap and valve on a dry, clean surface after removal. The cap is aluminum and the valve is nickel-plated to prevent corrosion. Do not substitute a cap or valve made of any other material. Position the bead breaking fixture 90 degrees from valve stem when separating tire bead from wheel. Position the mounting/demounting head so the tire iron (or pry bar) can be inserted slightly clockwise of the sensor body when prying the tire bead up and over the mounting/demounting head. Using a tire machine, rotate the tire/wheel assembly clockwise when transferring the tire bead to the outside of the wheel rim. Repeat the steps for the inner bead. 3) If the TPMS sensor is the clamp-in style (Figure 1), follow clamp-in style removal as follows. If it is a snap-in style (Figure 2), follow the snap-in style removal. How remove clamp-in style sensor? 1) Remove the tire pressure sensor nut (see Figure 1). 2) Remove the sensor from the wheel hole. 3) Remove the sensor grommet from the valve stem. 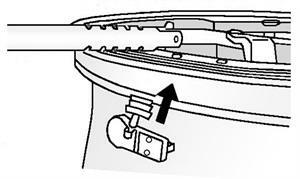 4) Follow the clamp-in sensor installation steps below, to replace the sensor. How to remove snap-in style sensor? 1) Remove the TORX screw (3) from the tire pressure sensor (2) and pull it straight off the tire pressure valve stem (1) (see Figure 2). 2) Remove the tire pressure valve stem by pulling it through the rim. 3) Follow the snap-in style sensor installation steps below, to replace the sensor. How to install clamp-in sensor? 1) Clean any dirt or debris from the grommet sealing areas. Install the grommet on the sensor valve stem. 2) Insert the sensor in the wheel hole with the air passage facing away from the wheel. 3) Install the sensor nut, and position the sensor body parallel to the inside wheel surface while tightening nut to 62 in.-lbs. (7 N.m). Position the mounting/demounting head 180 degrees from the valve stem. Position the bead transition area 45 degrees counterclockwise of valve stem. Using a tire machine, rotate the tire/wheel assembly clockwise when transferring tire bead to the inside of the wheel rim. Repeat the steps for the outer bead. 5) Install the tire on the wheel. Install the tire/wheel assembly on the vehicle. Retrain the tire pressure sensor. See reset procedures. NOTE: A service replacement tire pressure sensor is shipped in OFF mode. In this mode, the sensor’s unique identification code cannot be learned into the RCDLR’s memory. The sensor must be taken out of OFF mode by spinning the tire/wheel assembly above 25 mph (40 km/h) for at least 10 seconds in order to close the sensor’s internal roll switch. How to install snap-in style sensor? 1) Assemble the tire pressure sensor (2) to the valve stem and install the new Torx screw (3) (see Figure 2). 2) Apply tire soap to the rubber portion of the valve stem. 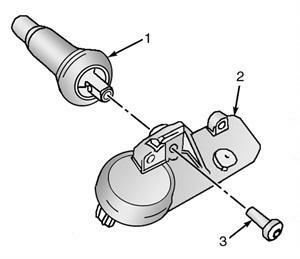 3) Using a tire valve stem mounting tool, pull the valve stem through in a direction parallel to the valve hole on the rim (see Figure 3). Position the bead transition area 45 degrees counterclockwise of the valve stem. NOTE: Snap fit TPMS sensors are still shipped in the OFF mode. However, the TPMS no longer needs to be spun to remove it from the OFF mode.